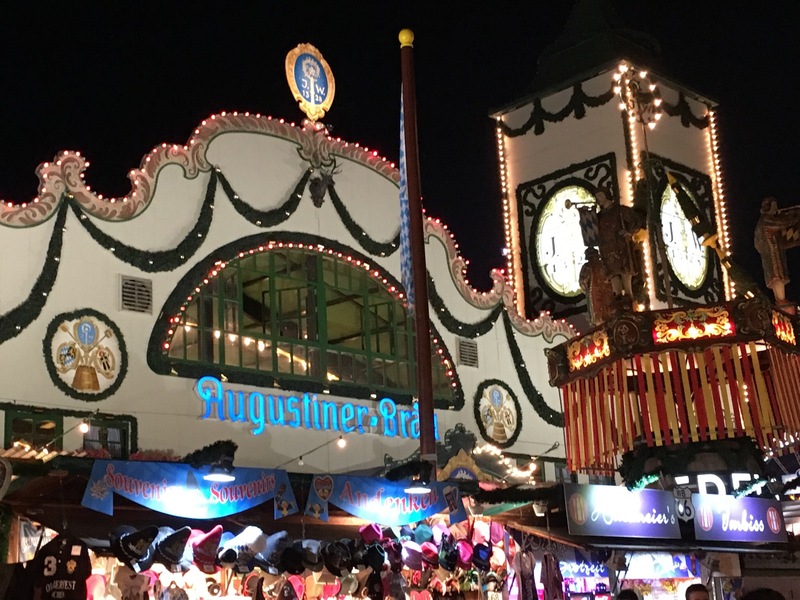 We are in traveling in Germany for the Oktoberfest, to see friends, and for me to visit some historic sites. I have to admit that I do love traveling. If I had unlimited time and money or was paid to travel I could easily imagine spending at least six month of every year away from home, preferably with Judy and our Papillons, all who travel well. For me travel is an adventure and it always has been. When I was a child and my father was in the Navy I was crushed when he retired because there would be no more moving to new places. Even as a child I was infected with a wanderlust that I have never tried to treat. Even when I go to a familiar place I try to find new places to go, especially to when history was made. This week was no exception, and yes there will be more before this trip is over. Judy and I also like meeting people who come from different places than us. 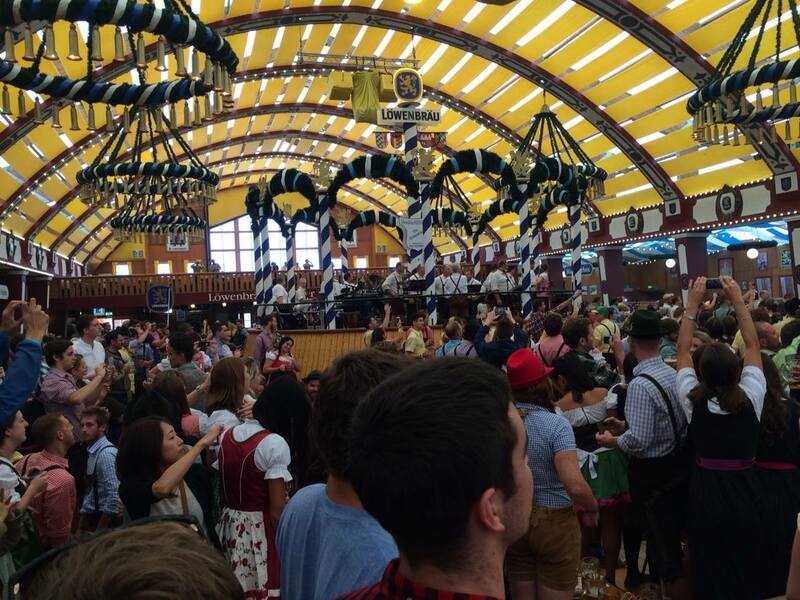 At Oktoberfest this is easy because in addition to the Germans, there are people from around the world. For us those are some of the most interesting and pleasant experiences because we didn’t even try to script them, and in some cases, both at the Fest and a local restaurant near our hotel, there are people who now know us and give us friendly greetings. Of course it does help that we speak German, but even without that simple acts of kindness, friendliness, respect, and thankfulness go a long way to make the experience great. I think that traveling as much as we have has been very influential in how we see and relate to the world and why we just shake our heads when we see people who have never been out of the bubble of home declare themselves experts about people they have never met and places they have seen. The prejudice, bigotry, and narrow-mindedness of some people bolstered by their ignorance saddens me because I know that a simple change of perspective is often all that is needed to open people’s eyes and minds to a bigger and better world. Of course travel is not a magic wand, there are some people whose prejudices, bigotry, and narrow-mindedness is only reinforced by traveling. When you travel, especially to a foreign county it is somewhat humbling, not that there is anything wrong with that. You discover that things that were simple at home are either more difficult or different, and it doesn’t hurt to learn both how and why the locals do things. Learning those things has helped us back at home, because we talk much of what we learn with us because we found that it works. We love the mass transportation system, we like the smaller stores, and I like being able to do a lot of walking because the cities and towns are designed for it, unlike much of the United States. There is a saying here in Bavaria, or as it is called here, Bayern, that “Im Bayern geht die uhren anders,” or in Bavaria the time goes differently. This is because even their fellow Germans often find the ways of Bavarians perplexing. But anyway, that is all for today, it’s almost one in the morning here and we need to get up a bit earlier than we did today when my lack of sleep cause of the six hour time difference between here and now finally caught up with me. We returned from a week in Munich with a side trip to Nuremberg last night. The week was the best real vacation we have had in our lives to date. We finally took seriously the idea that a vacation should not be about wearing ourselves out. I remembered a quote from a book I read in seminary by Leland Ryken who noted “worship our work, work at our play, and play at our worship,” and I decided to pay attention to our own misadventures in vacationing as well as a bit of humor. Unfortunately that is often how I approached vacation and for that matter rest and relaxation period. 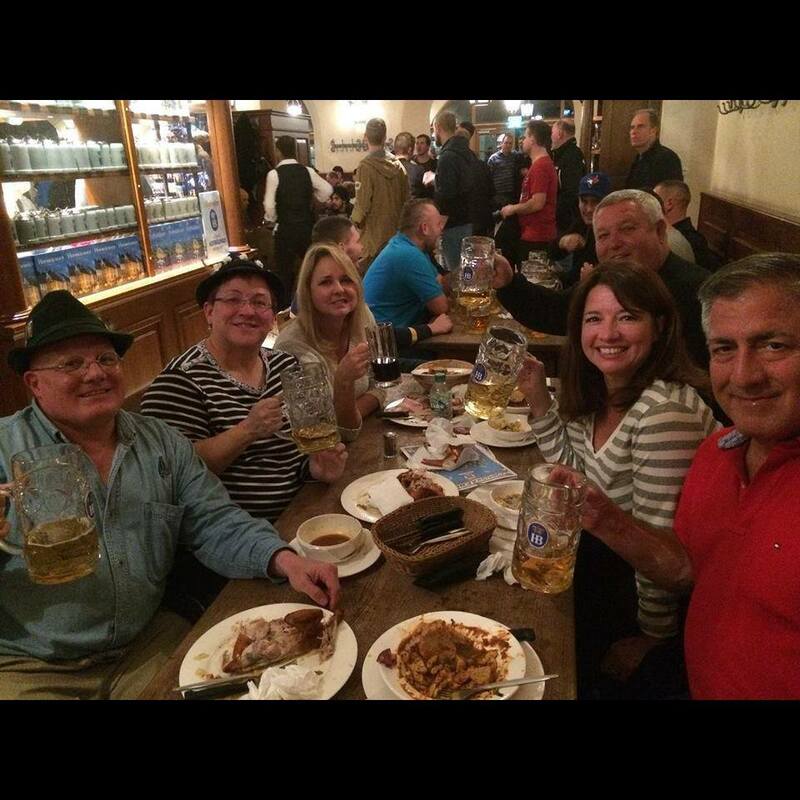 The last three years we have gone to Munich for the Oktoberfest and to see other things. The first year we were with a group of friends but the schedule was intense, and while we had fun we were exhausted within a few days. 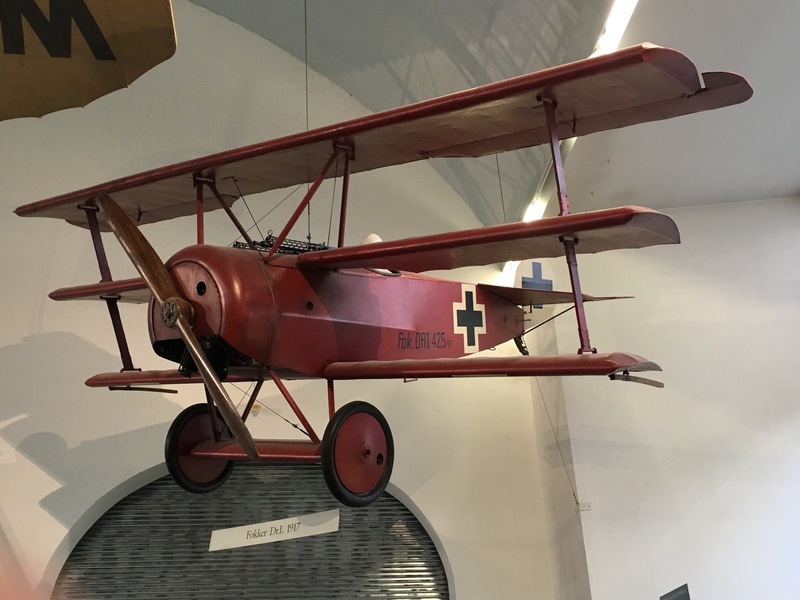 Last year we planned for two trips outside of Munich but while we were there we realized that we needed to take some time off and rest, so while we took a day trip to Salzburg, Austria, we eliminated a planned trip to Nuremberg. While I was disappointed it made the trip a lot less stressful. This year we determined that we would pace ourselves. 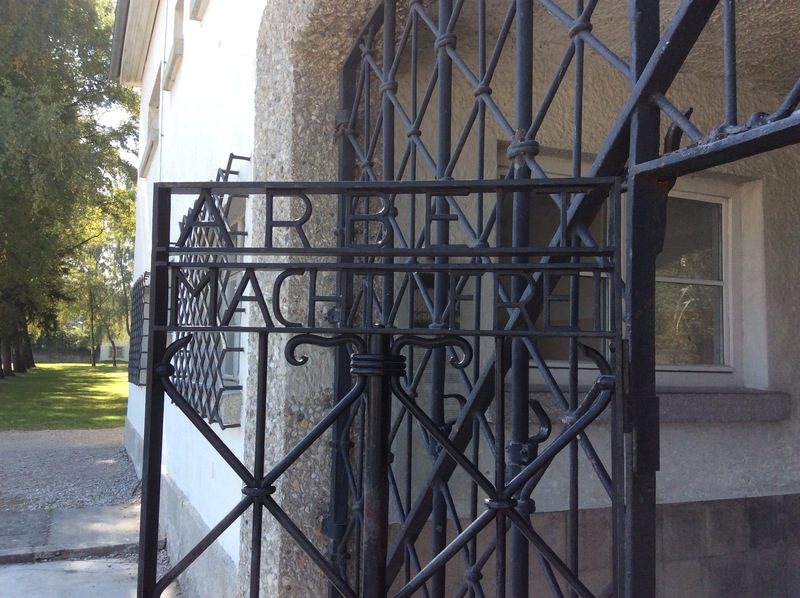 Knowing that we could not check in to our hotel until the afternoon of our arrival in Munich we visited the Dachau Concentration Camp which is not far from the Munich Airport. We made our trip to Nuremberg on Monday to see the Nuremberg Palace of Justice, War Crimes Trial Museum and courtroom. We got up at a normal hour, had breakfast and drove the two hours to Nuremberg. We had a good visit to the museum and courtroom and the walked around part of the old city, did a bit of shopping and lunch. Then we drove back to Munich, stopped at a clothing store that we used to frequent when we lived in Germany and made a trip to the Oktoberfest. The rest of the week we took our time. We visited museums like the Deutsches Museum, a science and technology museum, and the Bavarian State Museum, and then we would walk around town, spend time at sidewalk cafes just to talk and take in the surroundings, do some shopping and the go back to the hotel to rest before going to dinner at a local restaurant and then go back to the fest. On Thursday we met a German friend at her house just outside of Munich, taking a S-Bahn train to get there before we went back to the hotel, had dinner at a local restaurant before taking the subway back to the fest for a short visit. 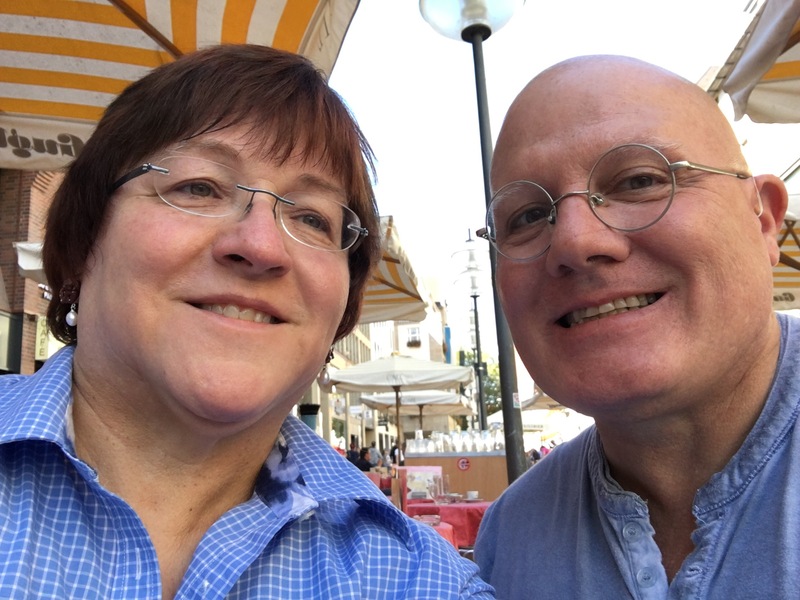 On Friday we rested and packed before we walked around the local area and spent some time at the sidewalk patio of the restaurant we had been eating at while waiting for our friends to get back from their expedition to a brewery on the outskirts of Munich to celebrate Judy’s birthday. Yesterday we came home, stayed up until about 11:00 PM and then slept late in order snap back into the time zone. Of course yesterday was a long day, getting up about 7:00 AM, having breakfast, checking out of the hotel, returning our rental car, getting to our flight and making the trip. 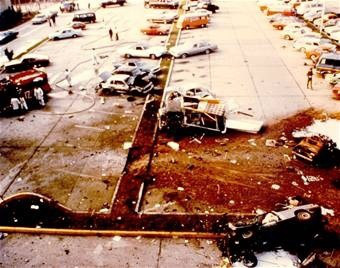 Since we arrived at our house about 8:00 PM our time the travel process which included two flights took about nineteen hours and by the time we went to bed we had been up close to twenty-two hours. But when you make a transcontinental trip that is part of the deal. During the week we were on four flights lasting about 18 hours, not including layovers and checking in or getting through passport control and customs. 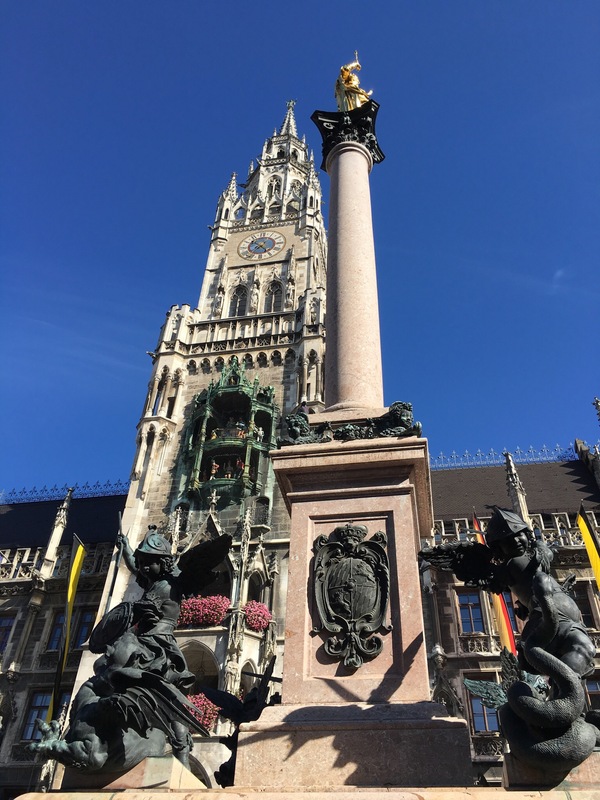 We drove about 300 miles in Germany and used a lot of the public transportation, U-Bahn and S-Bahn trains to get around Munich proper. I walked about 50 miles during the trip, Judy a bit less. We ate as healthy as we could, took smaller meals, didn’t do a lot of snacking or junk food, and of course since it was Oktoberfest we had a lot of beer. The trip was amazing and as I said up front it was the best, most relaxing, stress-free, and refreshing vacation we have had up to this point of our lives.